A fantastic super-warm last-minute winter gift, this collar knits up quickly from a little more than one skein of worsted weight yarn in just a few hours. The cables add interest, but depending on your color choice it can be suitable for men or women. Unlike a scarf, there are no tails to keep track of. Just pull it on to keep warm, or tuck it inside the matching hat and keep it in the car so it’s always ready to keep your loved one toasty. 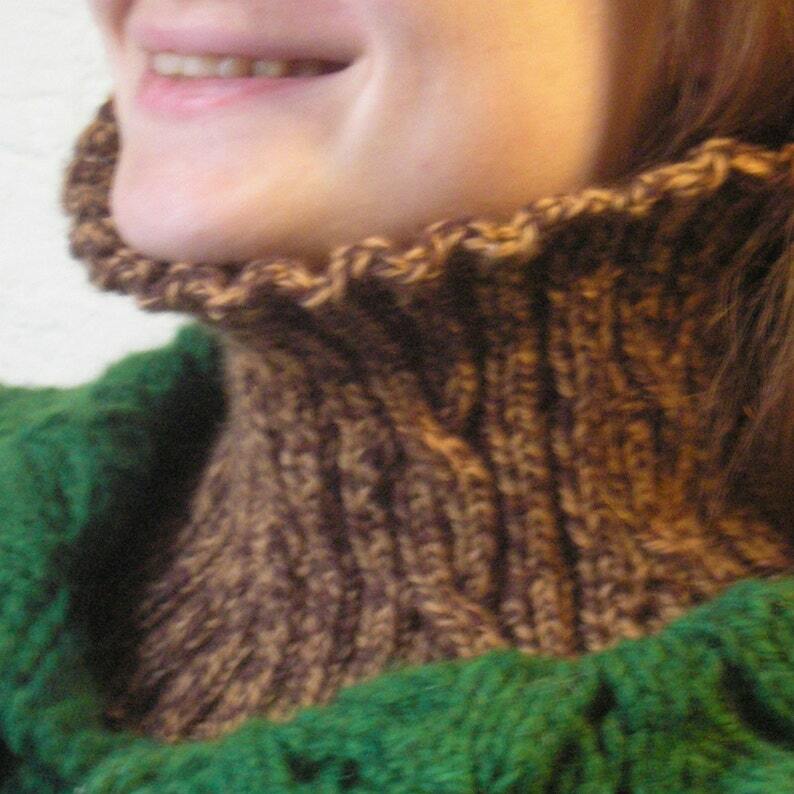 This listing is for the pattern to knit this neck warmer, delivered as a 1-page PDF. You will receive a download link after checkout. S&H for this item is of course free, because it's not being mailed to you. If you would like a printed version of this pattern mailed to you, please convo me, and I'll be happy to set that up.